Real estate can be a lucrative career path with proper planning. This article will give you actionable information on how to get into real estate and dominate. We set you up for success with a blueprint for important decision-making and give you the logistical and strategic information to build a lucrative career. If you’re looking to kick off your real estate career, but need a convenient and inexpensive way to get licensed, check out Real Estate Express. As the nation’s top online real estate school, you can take the first steps to launch your career completing coursework from the convenience of home. Visit Real Estate ExpressHere are the 10 steps on how to get into real estate. There are a number of elements to consider before making the leap into the world of real estate. Deciding if real estate is right for you involves establishing a budget, analyzing your cash flow cushion, calculating your startup costs and considering your startup needs. These factors and more will help you get started properly. It’s important to create a budget so you can figure out the minimum level of income you need to live. Remember that being a real estate agent means that you do not receive a regular salary, but are paid by commission and receive a portion of the homes that you sell or help to purchase. Living on commission means that you likely will receive your first check approximately 30 to 90 days after your first offer is accepted. Be sure that you have the income to support you and your household for approximately six months prior to starting your career to give yourself a healthy cushion, understanding that you likely aren’t submitting any offers your first day on the job. After you’ve developed your budget, you should invest in software to make sure you keep your personal and business expenses separate. While many products can do general tracking, something we particularly like is Quickbooks Self-Employed. As a contractor, it will help you parse out your business from personal expenses, including things like mileage and keeping track of your receipts. You can start now with budgeting features and tracking your educational expenses so that by the time tax season rolls around, you’ll be set. For about $10 per month, it’s an absolute lifesaver and will save you hours of work down the road. While most brokerages will shoulder significant costs of starting a real estate career, remember that becoming a real estate agent is essentially running your own business. You are technically a contractor for the firm you work for, not an employee. With this in mind, brokerages vary in how many services they will provide to their agents with some costs you may have to take on like desk fees or license renewal fees. While real estate has a low barrier to entry as compared to many fields, there are still startup costs to consider. Keep in mind that to enter the field, you’ll need the very basics to get started. Additional money for unexpected costs. Putting a specific number on your professional costs will vary depending on how much your particular brokerage covers, and what type of area you live in. For example, some small cities could be entirely walkable, large cities might be urban with Uber could cost hundreds of dollars a month, and yet suburban or rural settings may require a significant gasoline allowance. Given the significant investment and lack of initial income, many new to real estate decide to start their career part-time. According to The National Association of Realtors (NAR), the median income for a full-time Realtor with less than two years of experience is $8,930 but jumps to $78,850 with more than 16 years experience. Look at your living expenses, runway, and startup costs and decide if being part-time or full-time is right for you. Many people can collect a paycheck at their existing job while they scale their real estate career, especially since weekends will be the largest time commitment with direct client work. As you can see from the numbers above, many agents slowly learn the methods that pay off monetarily, but we’ll try to help you fast-track that timeline. Getting your license begins by getting educated, which can happen online or via traditional classroom training. Once the training is complete, you will need to take and pass an exam. It costs approximately $200 to $300 to gain licensure, and we’ll show you how to become a real estate agent in your state. Choosing online or traditional educational structure is a personal choice that should be based on your learning style, schedule, and availability. While cost is similar for both modes of learning, most find that online education is more convenient and helps them achieve their goals faster because it is self-paced. By looking up your local community college in your state, you can find offerings available. In Pennsylvania, for example, the Community College of Allegheny County offers modules that satisfy the criteria for real estate licensure for $223 plus textbooks and supplies. For information on the training available in your area, be sure to check with your state board of Realtors. Online education can be found by a provider like Real Estate Express, currently offering courses for $230.25 if we examine our Pennsylvania example. This is typical for its prices for most states that we examined. With online education, you can complete parts of courses even during your lunch hour with easy accessibility, and the pace can move as quickly or slowly as you like. Most online courses give you one year to complete them. Once you have your coursework completed, you can register for the real estate exam, pass the test, and search for a sponsoring broker. You cannot practice real estate without a sponsoring broker. A broker is someone who has the legal ability to run a real estate business, and so you have to work under their license when you join a brokerage. Be sure not to delay your real estate exam after your courses are complete, and take it while information remains top of mind. Usually taking the exam requires submitting an application with a fee of approximately $15 to $40 depending on your state, and a copy of your real estate school transcript. You can find your state requirements by looking up your state real estate commission and reading your specific requirements. Once the paperwork is processed, you can sit for the exam that usually takes under 4 hours and is primarily comprised of multiple choice questions. After you pass this, it’s onward to finding a sponsoring broker! Finding a sponsoring broker is as easy as looking to see which brokerages are hiring on a jobs site like Indeed or giving a brokerage you are interested in a call. Many brokerages are actively seeking new agents, and you want to find a brokerage with a solid reputation for the qualities that you want. Finding the right brokerage will provide you with mentorship and training, which are essential elements in starting a successful career. Brokerages technically oversee agent transactions and assume much of the legal responsibility for your work. It’s important to find brokerages who are invested in both your production and your development as a professional. The training and mentorship you receive will be the building blocks for a successful future career. A rookie mistake is focusing too heavily on commission splits and too little on training. Without great training, you aren’t going to have any closings to split, and solid mentorship is worth its weight in gold. A solid mentor will help you develop your unique value proposition as an agent working at the brokerage, help you with lead generation ideas and strategies, and help you position yourself for success. While few agents are at one brokerage for a lifetime, almost all successful agents credit solid early mentorship with giving them an advantage they couldn’t have had without their first brokerage. A brokerage that is able to train you will understand that you can’t rely on brokerage leads alone to fill your pipeline and will show you how to prospect different areas of the market. Capturing for sale by owner (FSBO) listings, expired leads, and nurturing contacts for results will be an important aspect of training as well as the nuts and bolts of how to do your job well and within the law. Improving your listing presentations, and talking pricing strategy should also be part of your training at invested brokerages. We named Keller Williams the best real estate company to work for in 2018 largely on the back of solid training and mentorship as noted in many reports. After brokerage selection, you can finally submit your application for a real estate license, which will include your broker’s ID number. Submitting this application varies greatly in price, ranging from $50 in a place like New York to $245 in California. Brokerages will usually cover the cost of basic technology, such as a page on their brokerage website and office computer use. However, if you want to stand out among your peers, you will have to establish your own brand identity including social handles, website, and have a reliable way of keeping in touch with your contacts. Before setting up any technology related to your professional identity, you want to be sure to determine what that brand will be. Although you want to represent your brokerage well, be sure to develop a professional brand distinct from your brokerage on both social media and your own professional website. Social media is the most direct and immediate way you can communicate with potential customers. It also provides a free form of advertising that can begin as soon as set up. Keep social media handles across platforms consistently, and be sure the naming of them is distinct from your brokerage. Most Realtors will change brokerages during their career, and you want former clients to stay updated and connected no matter where you are while being able to use the same accounts to connect with you they’ve always had. For example, on your social media accounts, instead of having your handle be “@KellerWilliamsBryan,” consider something like “@RealtorBryanNYC” that is translatable no matter what firm you work for. Important social media platforms to be a part of would be Instagram, Facebook, Twitter, and perhaps Pinterest if you have an interest in home decor. Unlike typical websites, a real estate agent website should allow you to communicate information, as well as allow potential clients to search for homes and be a lead generating platform. Real estate websites are very specific, one way to do this is by getting a free basic real estate website from Placester. With the need of new agents to keep costs low, Placester is a perfect solution to give you a fully functional real estate website that can grow as your career does, and allow you to keep generating leads in the meantime. As with your social media handles, be sure that your website reflects a consistent brand that is your own, and you can carry no matter what brokerage you work for in the future. While it is difficult to beat the free nature of Placester, if you want to get adventurous and build your own IDX integrated website, take an afternoon to read through our step-by-step guide. For about $60, the cost of a real estate theme, and a subscription to a hosting service like Bluehost for $2.95 per month, you could have a website that you can work with throughout your career. Having a great customer relationship management (CRM) system will help you store your leads, nurture them, and be able to convert them into customers eventually. Following up with leads is one of the most effective ways of filling your pipeline, so having a CRM allows you not to drop the ball while you are in the midst of other tasks throughout your day. Freshsales CRM syncs with your calendar and offers a task, appointments, and notes feature to keep you organized as well as helps you sort and prioritize leads. The best feature about Freshsales CRM is that they have a free version, Sprout, that you can use as long as you like. Should you like to upgrade in the future, they have paid versions starting at $19 per month that offer increased customization. Expanding your network will be the key to extending your sales, increasing referrals, and adding new contacts and leads. Some ways you can do this is to work your sphere of influence, attend conferences and develop novel referral sources. Here is how to acquire important social connections. Your sphere of influence is the people you have contact with on a regular basis or are already connected to. Family, friends, your religious community, parent groups, and anything you might be involved in would be considered your sphere of influence. Be sure that everyone in that group is well-aware of the work that you do, and remind them periodically or ask about their needs or those of their friends. The community you work in also has plentiful opportunities for networking and expanding your reach. Through discussions with neighbors, involvement in local investor groups, community events, and having a presence on your local Facebook community forums, you can begin to have an impact and develop a reputation as helpful and informed in your local real estate market. Even one contact can bring a repeating income stream. For example, local investor groups often have active landlords, fix-and-flip renovators, and others who purchase and sell regularly. Conferences are a great way to meet new people, increase your referral base, as well as hone your own skills. Referrals are an easy way to improve your income stream, and networking with people in other areas, collecting business cards and exchanging information can set you up for a potential future opportunity. Be sure to follow up with the information you get from other Realtors. Honing your own skills is another reason to attend conferences. As well as meeting other people in the business, some conferences, like those hosted by Brian Buffini, are laser-focused on improving your bottom line through personal and professional growth techniques and methods. See our best real estate conferences and convention guide for a list of fantastic events to attend. Novel referral sources can give you exclusive leads because they are often untapped. Places to seek novel referral sources can be forming relationships with divorce attorneys in your area, and connecting with the human resource department of local large employers. Divorce attorneys often are asked for referrals for a real estate agent who is reliable and effective in helping them sell properties in times of duress. Positioning yourself as the person who can be there to get the job done can be a win for everyone. Also, many times as couples liquidate their joint assets, they go on to purchase others individually. For every one referral from a divorce attorney, there is a possibility of three separate transactions. Large employers are also a wonderful but often overlooked referral source. Schedule a time to meet with the human resources director at your largest city employers to see if they have a need to refer agents to employees relocating or those looking for homes who are current employees. Positioning yourself as someone who understands the local market and helps offer a new service to the company to meet the needs it faces. Allocating your budget to include advertising apart from what your brokerage does on your behalf will set you apart from your peers. When you select the right modes of advertising, the expenditure pays for itself in closed transactions. You have to advertise both digitally with a tool like Zillow and traditionally with a service like ProspectsPLUS! Zillow is the leading real estate marketplace on the internet. If you want to know how to become a real estate agent that dominates their farm area, you have to be where the people are. With over 188 million unique monthly visitors, Zillow is where the majority of your potential customers are looking for homes and where you want to be. Exclusive listings: With Zillow Premier Agent you can own your listings. By being the only agent listed, you increase the chances of a home buyer contacting you to see the property and getting both sides of the transaction. Presence on other listings: Zillow Premier Agent gives you the ability to have a presence on the listings of those in your area who are not Premier Agents. This helps to expand your reach and give you warm leads. Zillow has other programs that allow you to take advantage of targeting Zillow shoppers on Facebook through their Zillow Direct Program. 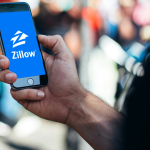 With a range of options for real estate agents, Zillow sets the bar for having quality leads with high intentionality. For more information on how to run ads on social media yourself, see our article on Facebook ads for Real Estate. Mailers give name recognition and are an effective and inexpensive form of staying top of mind in your farm area. With mailers like newsletters and postcards, the most important element is consistency and building a reputation as a knowledgeable real estate agent in the area. Automating your mailings is one of the most effective ways of both staying top of mind and reducing your own workload. Services like ProspectsPLUS! Have programs like its “market dominator” program that will create a newsletter on your behalf, provide your local content, and send them to your farm area for $1.18 cents each including postage. Taking time to build and nurture leads every day is the difference between an agent with a full pipeline and one who struggles financially. What makes a killing in real estate isn’t simply working with clients, it is finding and nurturing the customers you don’t yet have. Subscribe to lead services and follow up. Subscribing to lead services like REDX for expired listings, can help to build your pipeline when you don’t yet have a Rolodex of contacts. For $59.99 per month, REDX will send expired listing leads every day to your inbox with contact information that you can use. Making it a daily routine to check your inbox and spend a couple of hours on the phone can pay off. Not only will you hone your sales strategy and skills, but playing a numbers game, you’ll get some wonderful leads and customers in the process. For assistance on getting started or knowing what to say on your first calls, see our article on expired listing scripts that actually work. Lead nurturing allows you to cultivate relationships with people who are potential clients, and individuals at various stages of the buying or selling timeline. Many agents make the mistake of trying to “fit in” lead nurturing when it should be a priority scheduled in at regular intervals to grow their career. Outstanding real estate listings make your client’s property look good, and help homes sell more quickly for higher price points. Having outstanding listings takes time and effort that many of your peers in the profession will not invest. By emphasizing quality photographs and video, this becomes a differentiator highlighting the quality of your work. Image enhancement: For $1.60 per photo, you can brighten and enhance images for increased detail. Image enhancement services by BoxBrownie. Day-to-dusk photo editing: For only $4 per image, you can create the ideal image backdrop, creating a “hero shot” to grab buyer interest. Virtual staging: For the price of $4 per image, you can transform an empty space and help potential buyers visualize possibility. Virtual staging photo by BoxBrownie. As you can see, making even a minimal investment in the images you have can transform a property and potential buyer opinion. For more advice to help you in your real estate photography, see our real estate photography tips. Using video on your listings helps to get them seen by potential customers in two ways. While a video is more likely to have users click the listing, it also helps your home gain exposure because of how it factors into algorithms. Most real estate agents don’t know that using video in your listings can push you to the top of Zillow searches in your area. Using video can be as simple or as complex as your listing demands. For some listings, posting a quick walkthrough will be enough to suffice. However, on others, you may require drone footage to show the expanse of the property, particularly when it involves large parcels of land or multiple buildings. Be sure that you always post video not only to your listing itself but to your social media account. Instagram is a wonderful platform to give potential customers an inside look into your newest listing and a sense of exclusivity. To learn more about how to navigate Instagram like a pro, see our article on Instagram for Realtors. Examining your current status, revisiting your budget, and setting new goals and markers that will challenge you is an important part of your progression. At the six-month mark, you should have clear data determining how your career is progressing, what is working for you, and what areas you may need to change to be more effective. Calculating return on investment (ROI) should be a practice that you revisit every six months or so. What you spend is never an issue if it is generating returns that justify it, and the formula for examining your expenses is quite simple. An example would be that you’ve spent $400 per month on Zillow Premier Agent advertising for six months for a total of $2,400. Out of that advertising spend, you’ve gotten leads that have resulted in closed deals valuing $15,000 in commissions. In our example, you are making about $5.25 from every dollar you invest on Zillow and have a net profit of $12,600 (commissions minus advertising costs). Smart return! When you see numbers like this, it would indicate that maybe you should pull money from things that are not working, and throw a little more toward this sort of advertising. Always be sure to track where your leads are coming from so that you understand what is bringing you solid returns. Complete this simple formula for every advertising money that you spend, and you’ll be able to allocate money effectively and scale your business far more rapidly. Be sure to evaluate other expenses as well, examining them in less technical terms. Examine what your client expenses look like. Are you buying potential clients lunches when you could meet for coffee or spending more money on gasoline than you anticipated? Make adjustments as you see fit. After you have a firm grasp on where your business stands, set new markers for yourself to hit in the coming six months. You know what your budget and spends are, have an improved ability to see what is working and to cut the things you may have been wasting time on that were not bringing you returns. Now is the time to set professional goals, not all of which are financial, but those that should improve your standing in the field. Improve your number of closings: Be realistic but ambitious and set a number that challenges you. Attend more meetups: Improved networking events mean increasing your contacts. Maybe set a goal of attending one additional event per month in your area. Grow social media presence: Give yourself goals around followers and developing an online brand and presence. Set specific goals around posting frequency. Learning how to become a real estate agent is easy, but developing as an agent that dominates their space takes work, planning, and mapping their career. To become an agent crushing it, you have to have the right mindset to succeed and beat the odds. According to NAR, 87% of new agents will fail in the first five years. Here are some tips to not only survive the industry but thrive within it. To learn more about the mindset of someone who crushes it in the industry, we talked to Judy Williams, an agent at Halstead Manhattan who specializes in condo and co-op sales and rentals and dominates in a very cutthroat market. Williams herself described getting started in the real estate business when she reached out to agents and would volunteer to host their open house if she could have access to the prospective clients who attended. She stated that many took her up on her offer, and she was doing one to two open houses for others every Sunday and gaining access to an incredible amount of buyer clients she could network with in person. 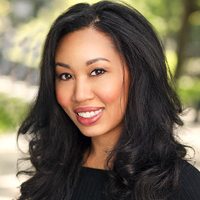 Williams knew her strengths coming into the profession with a master’s degree in real estate, finance, and investment, along with strong client relations skills, technical savvy, and a big sphere of influence. She capitalized on these strengths rather than focusing on areas that might not have been. Instead of relying solely on advertising, Williams is continually putting herself out there to network with potential clients and develop real rapport over simply selling. She talked about the importance of getting to events where you have genuine interests that may have nothing to do with real estate and just forming genuine friendships. We hope we were able to take you through the process of starting your career in real estate, and how to build a career that will help propel you ahead of your peers. While we attempt to answer your questions, if there is something we missed, please feel free to ask it on our forum. Can you Make Good Money as a Real Estate Agent? Real estate agents have unlimited income potential and can become high-income earners, depending on market and experience. NAR reports that income increases by experience across markets. For example, those who have six to 15 years experience make a median income of $63,240. How Much Does a Real Estate Agent Earn a Year? According to NAR, the median income for those licensed as a real estate sales agent is $31,670. The average cost of attending real estate school, whether online or in a classroom setting, is $200 to $300. This will depend on your location, and what course requirements your state mandates to sit for the real estate licensing exam. How to get into real estate and make a killing requires more than simply learning the basics of how to become a real estate agent. It takes significant planning, budgeting, advertising, and the proper mindset to overcome the obstacles that lay ahead. If you’re more motivated than ever to start getting your license and begin your new career, check out Real Estate Express, and get started from home today. With course offerings that meet state requirements, are easy to navigate, and take no time to complete, it can help you complete the first step of your journey.